Debian 7.0 Wheezy is out! Author Mithat KonarPosted on May 5, 2013 June 27, 2018 Categories ProgressTags debian, linux, open source, releaseLeave a comment on Wheezy! Update: Turns out SVG might be a better base than PostScript for this. 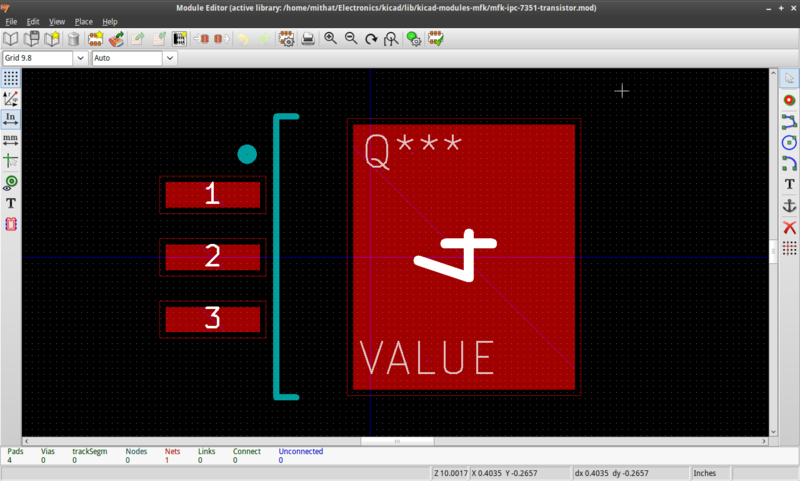 See PDF output from KiCad in Linux from SVG. It’s a lot of typing to get the conversion to happen (the minutia of which you won’t have memorized). It leaves you with both a PostScript and a PDF of the document(s), one of which is likely to get out of sync with the other, which may or may not be in sync with the actual schematic, etc. To help with this, I use the script below. I drop a copy of it into the root of my KiCad projects and edit the OPTIONS as needed for the project. Then whenever I want PDFs of my schematics, I export PostScript from Eeschema and then click on this script in my file manager. Note that running this script will destroy any *.ps files in the directory—that’s by design. # in working directory to PDF. I’ve not tried the script on any PostScript files other than those produced by Eeschema, but I’ve got no reason to think it won’t work on other PS files as well. I added a tutorial on C++ pointer basics to my wiki. It needs some work but might be useful in its present state. I just noticed that my Mercurial repository of some KiCad modules I made never made it to the Web. Took care of that just now. You can access the repository at https://bitbucket.org/mithat/kicad-modules-mfk/. Last week I finished delivery of a custom 6-channel DAC for mastering engineer Greg Reierson at Rare Form Mastering. It uses three stereo DAC cards I designed previously for Audio by Van Alstine, Inc. (currently used in their production DACs) and six custom dual-differential gain/filter cards. I designed the gain/filter cards to use an absolute minimum of active stages—something I have consistently found to help subjective performance. Greg reports that the new DAC is dead silent and delivers noticeably better LF control than his previous setup. We hope to do some gain-stage device (that’s opaque-speak for “opamp”) comparisons down the road to see if things can be improved further. He will be using the new DAC for general monitoring and also to drive his newly acquired Neumann VMS 70 cutting lathe. The KiCad FAQ outlines a process for doing this, and it works fine until you refill (i.e., re-pour) the zones–or the DRC refills them for you. When the zones are refilled, the vias you added for stitching become isolated from the zones and end up as little pads floating in space. Since Olimex’s PCB prototype service is currently offline, I decided to try another provider for a project I’m working on. The one I settled on is OSH Park, and I have to say the online ordering process worked far more smoothly than I expected. I uploaded a *.zip file full of Gerbers exported directly from KiCad, and the system recognized everything perfectly. Here’s hoping the boards turn out equally fine. One bit of advice: As near as I can tell, KiCad’s layer alignment targets only add extra square inches to your design for which you will be charged, so you may as well leave them off. I added a Quick Guide to Using KiCad for SPICE Simulation page to my wiki. I’ve been using Mercurial along with Bitbucket for project hosting for quite a while now. I’ve also grown quite fond of EasyMercurial to help manage my repositories. However, I have started to wonder if I should consider using Git as my defacto standard VCS. I was originally attracted to Mercurial over Git because I got the sense that Git was an almost hackish amalgam of various scripts written in a variety of languages—and because it encapsulated a lot more “power” (read: “complexity”) than I saw myself needing. And while Linux was (and is) my main OS, Windows support for Git was sorta grimmish. Bitbucket’s hosting policies at the time seemed better than the closest Git-equivalent: GitHub (still do—BB’s unlimited private repos in particular), and Redmine offered an easy self-hosted project management solution including repository, wiki, issue reporting, etc. as well. Gitourious was available at the time but was (and is) feature incomplete compared to Redmine. I can’t remember if Trac supported either at this point. So why consider changing? I’ve recently noticed what appears to be a mad rush to use Git in general and GitHub in particular–so much so that I’m wondering if Git is going to become the defacto industry standard soon. Changing to Git may not be as huge a deal as it might seem at first because Bitbucket, RhodeCode and Trac now let you use Git repositories in addition to Mercurial, and it seems Git’s support for Windows has improved. There are also a number of GUI Git clients available for all major platforms—though none of them seem as sweetly usable as EasyMercurial. I may just try managing my next project with Git as a test-case. Worst case: convert the Git repo to Mercurial. Author Mithat KonarPosted on August 5, 2012 June 8, 2013 Categories CodeTags git, mercurial, version control2 Comments on Gradually going Git? I recently delivered my first printed circuit board layout project using libre software. It’s an actively regulated, high current power supply for an audio equipment manufacturer, and it should be on the shelves in a month or so. The software used was KiCad (GPL2), though I did use FreeRouting (gratisware) to help route the board. I am quite happy with the results and the process. The work was done completely in Linux (Debian Wheezy, if you’re curious), proving that libre EDA–including the OS–is entirely possible. Except for autorouting, the overall experience was comparable to working with my previous go-to package: the now-defunct WinQCad. While FreeRouting’s autorouter seems comparable to the best that other high-value EDA tools can presently offer, WinQCad’s was in a class of its own. FreeRouting still gets the job done, but it needs more hand-holding and prodding. In addition to using it for PC layout, I am also using KiCad as a front-end schematic capture tool for SPICE simulations. 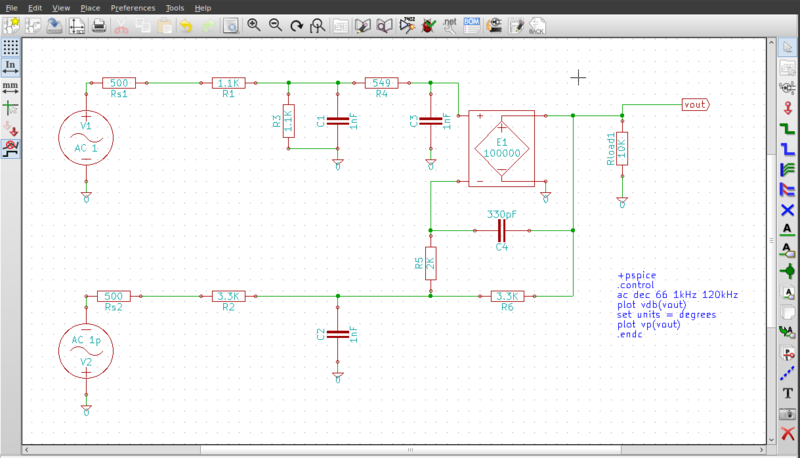 Now that I’m over the worst of the learning curve, I’m really looking forward to doing more work in KiCad.